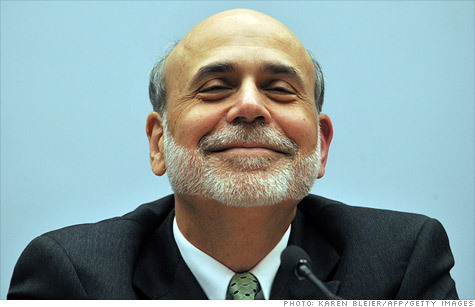 Paul Bernanke To Speak At Jackson Hole 2011. Why Speeches Always On A Friday?! Thank God It's Friday. So I need to give a speech to rock the financial markets. I always curious why the Federal Reserve Chairman likes to give important milestone speeches on a Friday. Why not Tuesday, Wednesday or any day in the middle of the weekdays. Okey, he even seldom gives speeches during the weekends. Not working?? 1. Fridays are the time where options expires. Great volatility means good hunting ground for option traders. 2. Any good/bad announcement could easily ruin the weekend and even ensuring a very very blue Monday. TGIF..Who wants to party with Katy Perry. I noticed that our local music station censored the word "ménage à trois" during her song play.